City Masonry has become a leading masonry contractor specializing in commercial, industrial and institutional construction. With a reputation for quality craftsmanship, customer service, and a safe and healthy working atmosphere, City Masonry brings the expertise, financial resources and project management skills necessary to com-plete projects of any scope, design, or size. Our goal is to provide for all of our customer’s masonry related needs, from the design phase, through the completion of their project. City Masonry has been an established pillar of the construction industry across the state of Texas for more than two decades. We’ll be your masonry contractor today and over the next two decades. Masonry is Known for its Strength. So is City Masonry, LLC. Last year, City Masonry, LLC laid over 4 million square feet of masonry. As one of the country’s largest masonry contractors, City Masonry, LLC has become the go-to resource for architects and general contractors throughout Texas and the Gulf Coast region. Last year, the company laid over 4 million square feet of masonry. With a history of success on this scale, you can feel confident that City can deliver your project on time and on budget. Our seasoned staff of estimators, project managers and supervisors, available to provide cost analysis, project budgeting, value engineering, and material samples. Extensive expertise in brick, block and stone for every type of application, from veneer to load bearing masonry. Safe employees. Satisfied clients. Jobs done right — and done on time. These things matter to City Masonry, LLC. That’s why the company introduced two of the masonry industry’s most innovative safety and quality programs. City Safe is a proprietary program that prevents accidents, injuries and hazardous conditions. Punch Perfect ensures that your project will be well crafted and completed on schedule — without lingering punch list items. Education: City Masonry, LLC supports each of the school districts it works with by contributing to fundraisers, student organizations and educational programs. 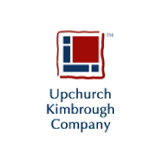 Houston Livestock Show and Rodeo: Every year, City Masonry, LLC supports one of Texas’ best-loved institutions to fund scholarships, youth programs, educational endowments, agricultural research projects and more. Future Farmers of America (FFA): To help the next generation rise up to meet tomorrow’s challenges, City Masonry, LLC actively supports FFA programs in school districts throughout the region. 100 Club: Contributions help support police officers and fire fighters with scholarships, special equipment, and assistance to the families of those killed in the line of duty. Shriner’s Hospitals for Children: City Masonry, LLC contributions help provide treatment to children with burns, spinal cord injuries, and orthopedic, cleft lip and cleft palette conditions regardless of parents’ ability to pay. Little League Baseball: Thousands of kids throughout the Texas/Gulf Coast region get their first experience with team sports by playing on City Masonry, LLC-sponsored Little League teams. 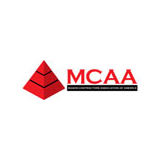 Mason Contractors Association of America: The national trade association representing masonry contractors and suppliers in legislative and political affairs, codes and standards composition, workforce development, education, market promotion and general industry advocacy. 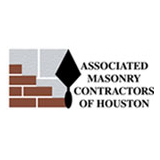 Associated Masonry Contractors of Houston: For more than three decades, AMCH has promoted the value of masonry construction for its strength, safety and beauty. The AMCH comprises more than fifty companies related to the masonry industry. 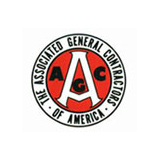 Associated General Contractors of America: The leading association for the construction industry, AGC provides a full range of services satisfying the needs and concerns of its members, thereby improving the quality of construction and protecting the public interest.